High quality dentistry is the basis for long term success of your treatment. In this field, the area being worked on is often very small, so good visual access with high magnification is absolutely essential in order to provide patients with high quality care. 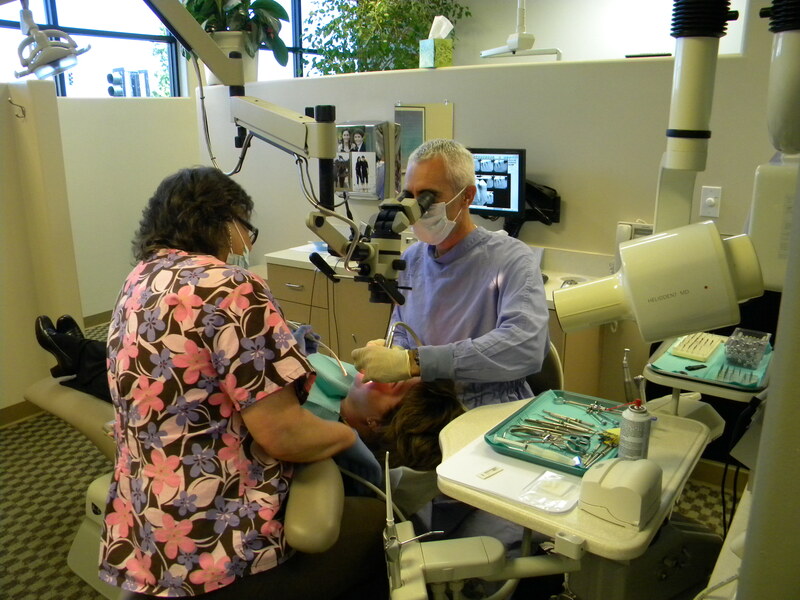 Dr. Williams has over a decade of experience working with the Surgical Operating Microscope for both non-surgical and surgical dental treatment. He also has the experience of working without the aid of the microscope (during the first few years of his practice career), so he realizes the advantages of using the scope in order to provide the highest quality care possible. Each of the working operatories in our office are equipped with a state of the art surgical operating microscope, with a miniature video camera attached. While being treated, you can actually watch a procedure being performed in real time on an overhead monitor that can be turned on if you would like.